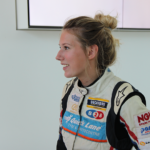 The British rally driver Louise Cook and her co-driver Stefan have been on the road for over 36 hours when we meet up with them at the Lighthouse. Perfectly attuned to each other, the rally duo are in cheerful mood when we greet them in the lobby. There is nothing to suggest the exertions of Rally Turkey, only a couple of days behind them, or the long hours they have just spent in the car. Munich is the only extended pit stop on the 3,392-kilometer return journey from Turkey to the UK. In 2012, Louise Cook became the first woman to win an FIA World Rally Championship title. 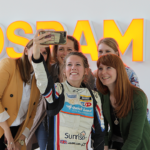 In August 2018, she won another title: brand ambassador for OSRAM. In October, she will fit three Osram products she has chosen herself to her race car and test them in rallying conditions. Her fans will be able to share the experience on Facebook and Instagram. 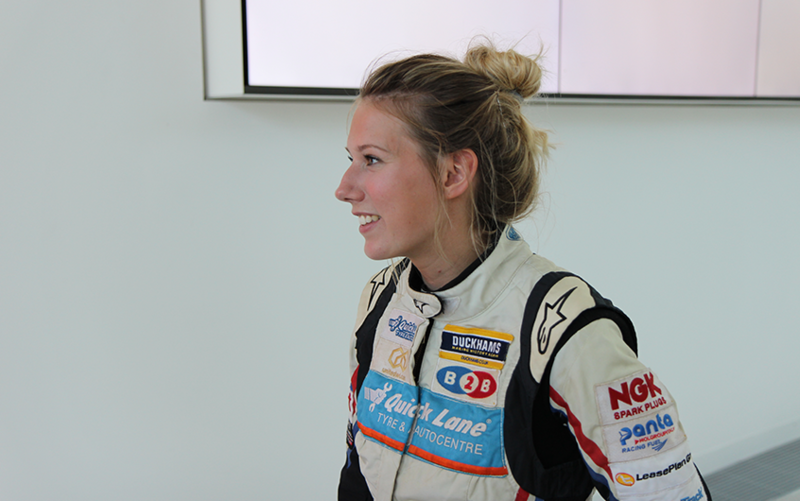 We interview her on the partnership with OSRAM, her love of the sport and the challenges of being a rally driver. 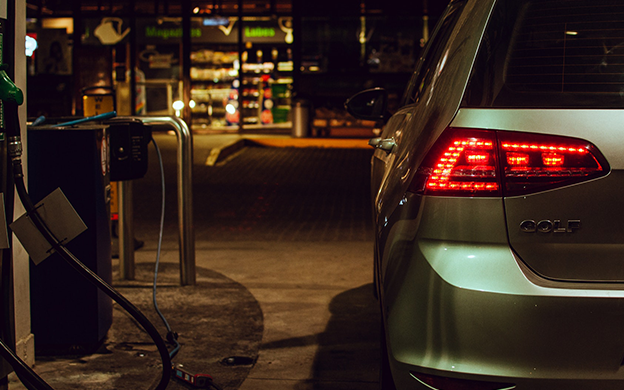 Your father bought you a battery-powered car when you were six years old. Now you’re a professional driver. What is your favorite thing about rally driving and what would you miss most of all if you had to give it up? I love the feeling of being on the road and cornering with as much speed as possible. It feels good to share my own passion with like-minded people and even a whole country. If I had to give up, I would miss the events and the support from the fans most of all. You have been rallying for 12 years now. What makes a good driver? It’s all about practice. Rally drivers see things differently and have a different way of thinking. We have a feel for the car that goes beyond just the wheels. Still, we also do a lot of physical training. I do endurance sport for cardiovascular fitness and use a simulator to train my arms. During the rallies, I try to eat as little sugar as possible, as high blood sugar is bad for the hippocampus in the brain and impairs memory. You also need a lot of patience as it’s difficult to find sponsors, especially at the beginning. That can easily take up 90 percent of my time. A good social media presence can really help with this. You’ve been on the road non-stop for 36 hours, yet you still came over for an interview with us. What does the OSRAM brand mean to Louise Cook? It’s been a tiring journey, but when we noticed that Munich was on the way, we decided to take a break here. 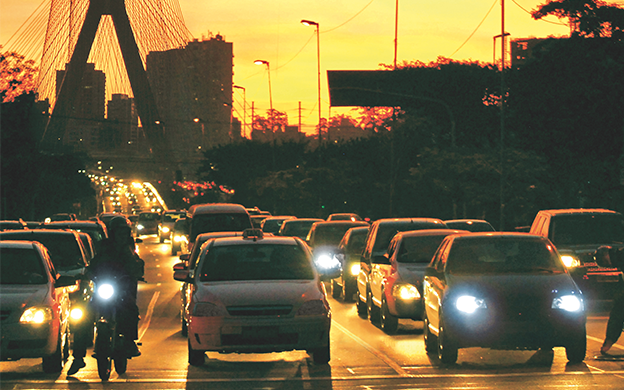 OSRAM is a company that has made history. I remember the OSRAM light bulbs we had at home always lasted for ages, and so I will always associate it with high-quality lighting products. These days, OSRAM is not just a large company, but also a famous brand, and it means a lot to me to be part of it. 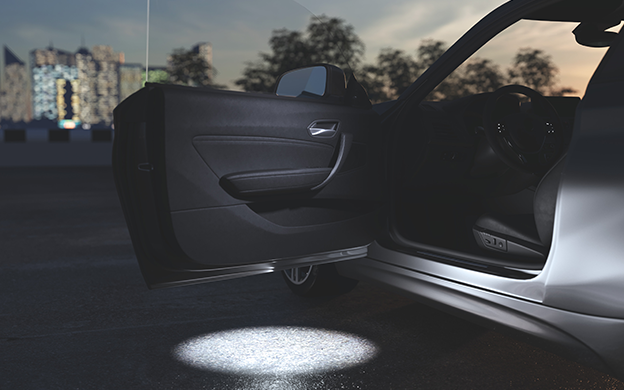 When it comes to safety, choosing the right lights is critical. Why is lighting so important to you as a professional? For me, the safety aspect is the most important thing. Rallying sometimes involves driving at night, like in Turkey just recently. We drivers need to be able to see every inch of the road and verge. Not being able to see properly can put your life in danger or write the vehicle off. Rallying is a male-dominated environment. What are the challenges for you? How would you encourage others to achieve what you have? Almost everything in the rallying world is aimed at men. The male drivers can simply buy any old seat, whereas I have to search for specialist products. Luckily, at the end of day, gender is irrelevant – we’re all rally drivers. My advice to everyone out there, especially women: Sometimes you just have to ignore your fears and do what makes you happy: Just go for it! Louise will be able to show off her fighting spirit again in her home country later this year at the Wales Rally. 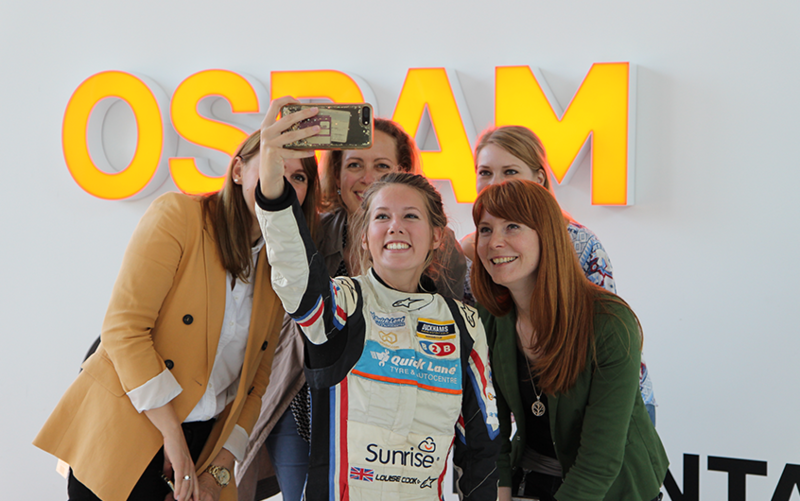 The event will also be a baptism of fire for the Osram products fitted in her car. We’ll be following Louise all the way and have our fingers crossed for our enthusiastic brand ambassador. Louise, just go for it!